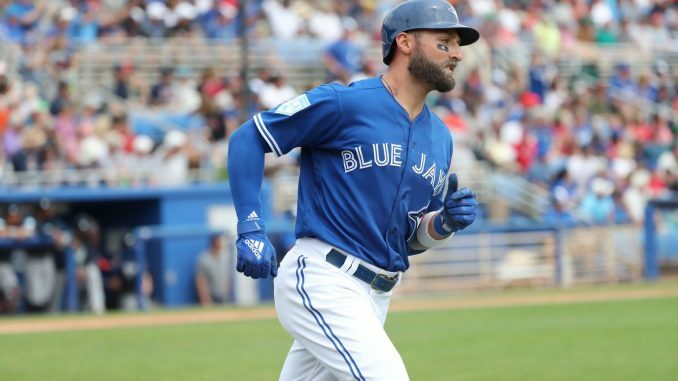 The San Francisco Giants have acquired Kevin Pillar from the Toronto Blue Jays with Alen Hanson, Derek Law and Juan De Paula heading the other way. A roster space was cleared for Pillar by designating outfielder Michael Reed for assignment after only 8 plate appearances. The acquisition of Pillar will have surprised many, considering the usual preferences of, new President of baseball operations, Farhan Zaidi. Pillar has had one of the worst strikeout to walk ratios in the major leagues since his debut in 2013. Zaidi has generally placed an emphasis on control of the strikezone when making transactions. Pillar has shown flashes of power with the Blue Jays with 31 homeruns in the last two years. However, this will mostly disappear when he is playing half of his games at the pitcher friendly Oracle Park. After playing four full years in the majors, Pillar is a known quantity as a hitter. You can be pretty certain that Pillar will be a slightly below average hitter with a lot of strikeouts and very few walks. The complete lack of upside offensively is another thing that makes this trade hard to understand from Zaidi’s point of view. Up to this point Zaidi has been accumulating as many potential upside hitters as possible. Michael Reed was one of those players and the Giants will now risk losing him to make space for Pillar. 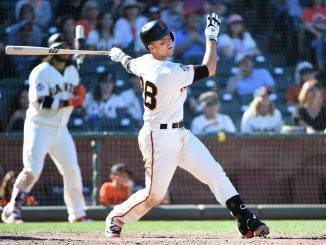 Reed posted a .972 OPS as a centre fielder in the minor leagues in 2018, the Giants had him on the opening day roster in the hope that he could get close to this production in the majors. Despite his early struggles it seems incredibly harsh to give up on him before he has been given a proper chance. This is the downside of the trade from the Giants perspective as the players given up were not likely to contribute much in the near future. Hanson had been designated for assignment and would have likely been lost via waivers in a few days, Law had shown promise in 2016 but has struggled the past two years. Juan De Paula is the most valuable piece given up. De Paula is a young starting pitcher with impressive numbers in the minors but he is at least a couple of years away from the major leagues, if he makes it at all. Pillar is most famous for his spectacular catches in the outfield but he has declined defensively the last couple of years, roughly average in centre fielder according to defensive runs saved. The Giants will hope that he can improve slightly but even if he does not he should still be above average playing on one of the corners. 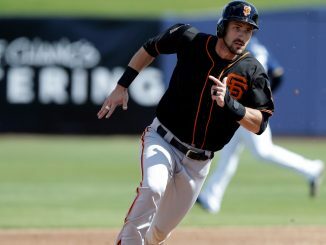 It seems that the Giants will regularly deploy an outfield of Kevin Pillar, Steven Duggar and Gerardo Parra which could be the best defensive outfield in baseball (and the worst offensive outfield). This would suit their home ballpark and will backup the strength of their pitching staff but does little to address the weaknesses in their lineup. This trade seems like a misjudged move for a team that most thought would be rebuilding. However, the players given up were not needed by the Giants. It shows that Zaidi does not see competing and rebuilding in such a black and white way and will do any deal if he thinks he is getting more value than he is giving up. Joe is interested in a variety of sports, but focuses primarily on baseball and stats. His articles are more likely to mention xwOBA than clubhouse intangibles.